Frustrated by India’s failure to help address the fallout of New Delhi’s rupee demonetization, Nepal is turning to China for economic and security matters. There are signs that Nepal may be shifting away from its traditional pro-Indian alignment in order to diversify its international relationships. Specifically, Nepal has received growing Chinese attention in recent years, yet events in 2016 catalyzed this trend, as Nepali-Indian relations were stained. Often overlooked, even by long-standing partner India, Nepal became collateral damage during India’s rupee demonetization efforts. Reliant on remittances from India and with the Indian rupee seeing widespread domestic use, Nepal was caught off guard by India’s decision. 2017 has not started well for Nepal, which is still trying to get India to fast-track relief for Nepal in the wake of the demonetization crisis. A recent mid-January meeting between the Nepal Rashtra Bank (NRB) and India’s finance and external affair ministries did not result in any solutions for Nepal’s currency woes. An additional problem is the fact that while Nepal purchases six billion Indian rupees (delivered in 1.5 billion installments) each year, in recent months it has not received any notes. Indeed, the only shipment Nepal has received came on January, yet contained only one billion rupees in 100 rupee notes. Since the demonetization announcement in November, and the December deadline, Nepal has continued to reel from the effects of New Delhi’s decisions. As a result, Nepal has called on India to expedite efforts to help the Himalayan nation with its monetary woes. India’s slow response has led Nepalese foreign minister Prakash Mahat to state that “even before [the demonetization crisis], there were lot of things which were not delivered […] but there was a special episode which put to test both sides [sic].” While Mahat sought to assure his Indian counterparts that Nepal remained a partner in good faith, he did note the country’s frustration. Other outstanding Nepalese complaints also include stalled work on Indian-assisted projects, as well as India’s interference in Nepal’s constitutional discussions; discussions which have been difficult and have led to political instability. Disagreements surrounding the transition from monarchical rule and the implementation of a constitution has seen the collapse of several Nepalese governments, the most recent being the KP Oli regime in August 2016. Mahat’s statements also comes as Nepal receives its first installment of Chinese-printed 1,000 rupee notes, courtesy of China Banknote Printing & Minting Corporation (CBPM). Contracted to print some 28.4 billion Nepali rupees in August (in the same facility as Beijing’s renminbi), CBPM has managed to begin delivery in just five months. 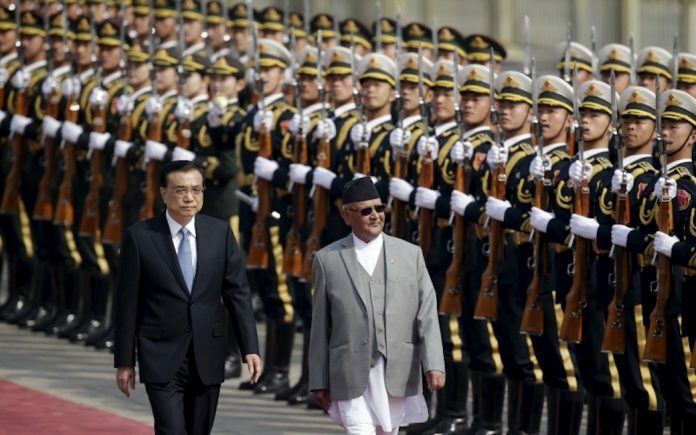 As prime minister, Oli strengthened ties with China, signing a historic trade and transit agreement with Beijing in 2015, ending India’s monopoly on Nepal’s external trade. While the contract was signed in the dying days of the Oli government, and predates the demonetization crisis, it is nevertheless an important signal. Firstly, the rapid response of state-run CBPM is in stark contrast to India’s foot-dragging. What this order also tells us is that Nepal was already looking to partner with China on monetary issues prior to India’s demonetization move, something which should concern New Delhi. The fallout from the demonetization fiasco only reinforces Nepal’s decision to look to China. Recently, KP Oli – now chairman of the Communist Party of Nepal – declared China an ‘all-weather friend’, as he touched on the fact that both countries will be conducting their first joint military exercise in February. This in itself is not a reason for concern, as both India and the United States also conduct annual military exercises with Nepal. While current PM Dahal is seen as more pro-Indian, this new arrangement with China does offer further evidence for growing Nepal-China relations. Alongside providing one billion yuan in earthquake assistance for reconstruction and border road construction, the increased attention paid to Nepal by China comes as Nepal is proposing changes to its 1950 Peace and Friendship Treaty with India. India has long been the main supplier of the Nepalese army, yet it halted shipments from 2005 to 2008 in response to instability in Nepal. Under their 1950 treaty, Nepal needs to inform or receive consent from India when purchasing military hardware from third parties. Reliance on a sole provider carries inherent risks, regardless of geo-political situation. It is understandable that Nepal would want to diversify, but the renegotiation of the 1950 treaty make this very explicit. Whatever Kathmandu’s intentions, this is a move that upsets the status-quo enough that India cannot help but respond. Middle man or caught in the middle? Nepal’s experience during 2005-2008 and the lack of forthcoming support on the demonetization issue – both of which affect Nepal’s defence capabilities – has highlighted Nepal’s need to diversify its connections, both military and economic. China would be happy to pry Nepal out of India’s orbit, especially since Nepal borders a restive Tibet. China has worked with Nepal in the past to shut down the movements of Tibetans in the border region, and is likely to increase its cooperation in the future. India has, to a certain extent, taken its influence in Nepal for granted, and it now needs to re-engage with Nepal in order to maintain that longstanding relationship. As for China, it was caught off guard by a similar situation in 2014. 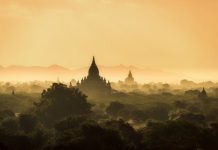 Assuming its influence in Myanmar was secure, China neglected the pariah state, and was caught off guard in 2014 as the country opened and reformed, with foreign powers rushing in to secure a foothold in the country. China has learned its lesson, and seeing a similarly neglectful India, has made its move to undermine New Delhi in Nepal. Greater Sino-Indian rivalry for Nepal’s favour could be a great boon to the small nation, with Nepal being able to increase its influence, as well as wrangle better deals from both sides. That being said, it would be unwise to burn too many bridges with India, as it cannot count on the kind of Chinese support enjoyed by Pakistan. India considers Nepal its backyard, and China strives for good relations with bordering countries, especially ones that border Tibet or Xinjiang. India needs to fast track solutions for Nepal, as Kathmandu is getting increasingly impatient, and New Delhi is no longer the only game in town. 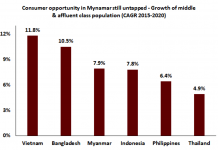 Previous articleUS And Philippines Not Seeing Eye to Eye: Will the Billions Keep Coming? Next articleFlirting with Default: When Will Venezuela Reach Its Boiling Point?